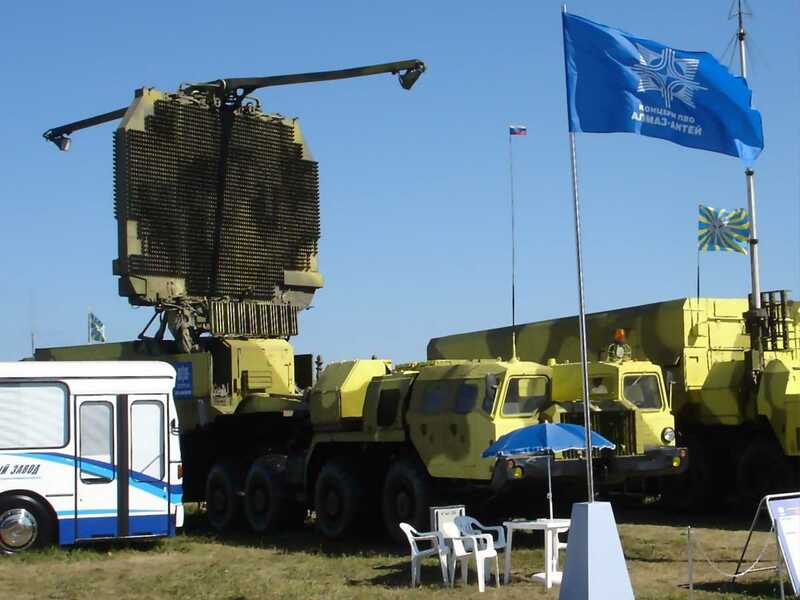 The 91N6 (NATO-designator “Big Bird”) is an operating in S-Band surveillance and tracking radar developed for the SA-21 “Growler” surface-to-air missile system (Russian designator: S-400 “Triumf”). Basically, the 91N6E is an upgraded variant of the 64N6E radar (NATO-designator “Tombstone”) with the same antenna design, but higher transmitter power. Its digital signal processing can detect up to 300 targets. The radar is placed in two containers, one fixed with the radar electronic and the indicators, the second with the transmitters, receivers and the antennas. The main antenna is a reflection type of space feeded phased-array antenna using 2 700 phase shifters. Two main antennas are mounted back-to-back with beam scanning in two planes. The radar offers different operating modes for maximum adaptation to combat conditions, e.g. continuous antenna rotation, sector view, stopped antenna drive and additional antenna tilt. The 64N6E incorporates additional auxiliary antenna/receiver channels for suppression of sidelobe jammers. An IFF-System is incorporated. 91N6E - variant for export, without the Russian IFF and possibly reduced combat characteristics.